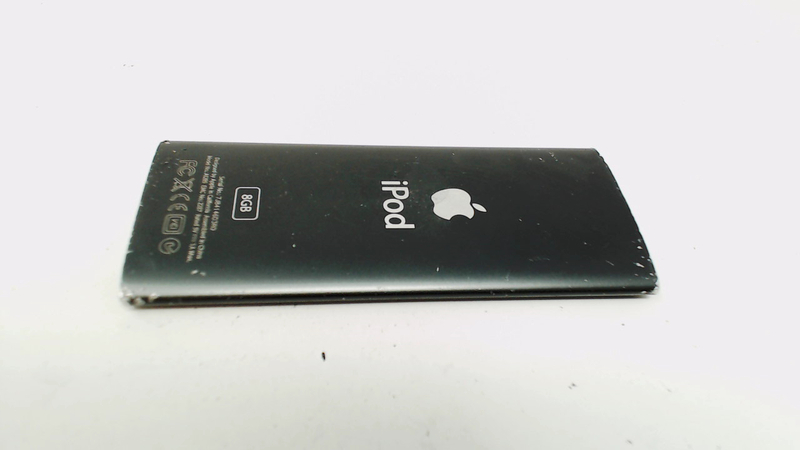 Includes iPod only. No cables, AC adapters, or anything else included. Has many scratches/scuffs on the screen and housing. The edges are nicked. Battery has some life but not as much as it used to. No Glass. Plays music, connects to iTunes and clickwheel works normally. 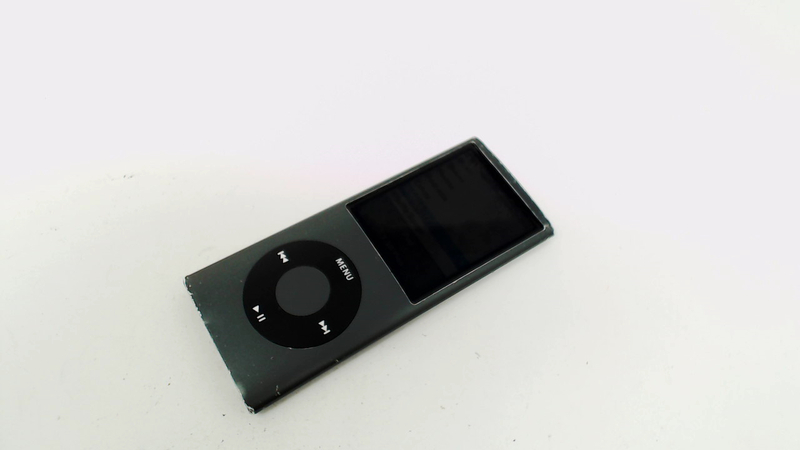 The iPod nano (4th Generation) has a built-in accelerometer that automatically switches to "Cover Flow" navigation when the device is rotated into "landscape" orientation (games and videos only play in landscape), a "Genius" feature to dynamically create playlists based on "songs that go great together", and shaking the device gently "shuffles" songs.